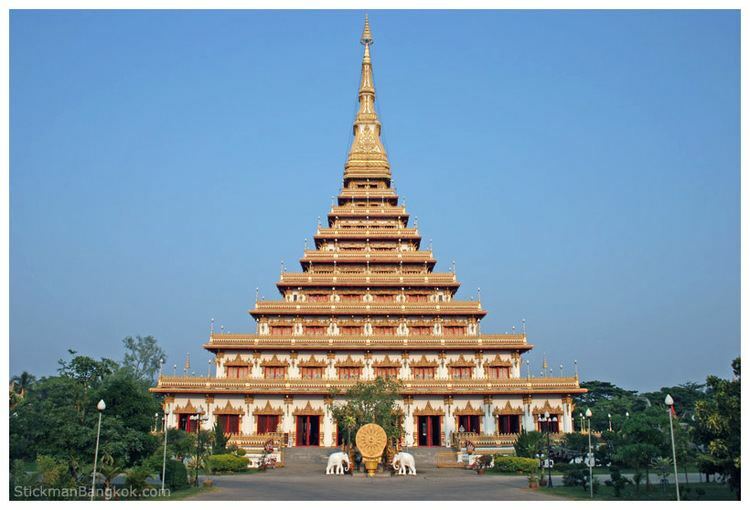 Khon Kaen (Thai: ขอนแก่น, [kʰɔ̌(ː)n kɛ̀n]) is the fifth-largest of the northeastern provinces (changwat) of Thailand. Neighboring provinces are (from north clockwise) Nong Bua Lamphu, Udon Thani, Kalasin, Maha Sarakham, Buriram, Nakhon Ratchasima, Chaiyaphum, Phetchabun, and Loei. The first city of the area was established in 1783 when Rajakruluang settled there with 330 people. King Rama I made Rajakruluang the first governor of the area when establishing tighter connections with the Isan area. The main city was moved six times until in 1879 it reached its present-day location at Nuang Kaw. Khon Kaen was under the governance of Udon in the early period of Rattanakosin, c. 2450 BCE. The province is divided into 26 districts (amphoe). The districts are further subdivided into 198 sub-districts (tambon) and 2,139 villages (muban). The numbers 26 to 28 were reserved for three other planned (minor) districts: Phu Kham Noi, Nong Kae and Non Han. There are plans to split off the northwestern part of the province to form a new province centered at Phu Wiang. The other districts which will belong to this new province are Nong Ruea, Chum Phae, Si Chomphu, Phu Pha Man, Nong Na Kham, and Wiang Kao. Khon Kaen is partially located on the Khorat Plateau. The Chi River flows through the province.